Dessert is often the perfect finish to a meal. A sweet treat to signal that your evening has come to a close or a treat for a Sunday afternoon. Yet such delights can be the calorie combustion that ruins your weekly effort. Therefore for your enjoyment I present to you 5 low calorie desserts! 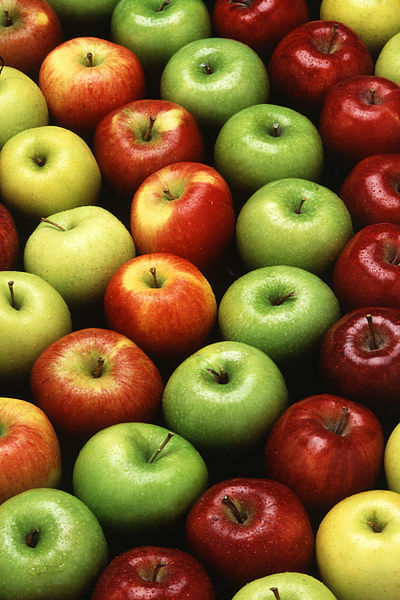 Apples in themselves are a fantastic snack or healthy dessert just the way they are. With around 70 calories for a medium apple they are certainly worth adding to your shopping trolley. But for something a bit more special, why not try this wonderful recipe for baked apples. Preheat the oven to 180 Degrees Celsius. Wash the apples, and remove the seeds and core - ensuring you keep the very bottom of the apple intact so that you have effectively created a small compartment in the centre of the apple. In a separate dish, combine the raisins and brown sugar and fill the cavity of each apple with the raisin mixture and bake in a shallow baking dish for 25 minutes. This lovely recipe comes in at about 133 calories per serving. To lower calories further replace half your sugar with a lower calorie sugar substitute like Splenda or Stevia. 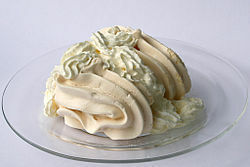 Just like little fluffy clouds – meringues provide that delightful sweetness without the added calories. These stunning delights are created using Splenda (or your low calorie sweetener of choice) and have under 5 calories per delicate treat. 2. Combine egg whites, cream of tartar (or lemon juice), and salt in a medium glass bowl and beat or use a hand mixer until the entire mixture is combined and frothy. 3. Add your splenda (or chosen sugar substitute) while beating until mixture is glossy and stands in peaks. Gently fold in the vanilla extract. 4. Spoon about a tablespoon onto the prepared baking sheet and cook for about 20 minutes, or until lightly browned. Pancakes are always a winner and they can easily be made for a quick snack or breakfast or with added flair can make a wonderful dessert worthy of any dinner party. At under 100 calories per serving these pancakes are light and fluffy but wont ruin your healthy eating plan. 1. To begin sift the flour into a mixing bowl and then combine with the baking soda and sugar substitute. 2. In a separate bowl mix the milk, eggs, and vanilla extract. Make a well in the centre of the dry mixture and add wet ingredients. Beat the wet ingredients into the dry mix roughly, to add more air to mix (and make the final result lighter and fluffier). 3. Stir in cinnamon last (if desired). 4. Add a small soup ladle of the mixture to a non-stick pan or one with a light spray of cooking oil. Flip pancake when you see bubbles rise to the surface of the pancake. Serve the pancakes while warm with a choice of toppings like a teaspoon of good maple syrup, good fruit jam or a teaspoon of honey. 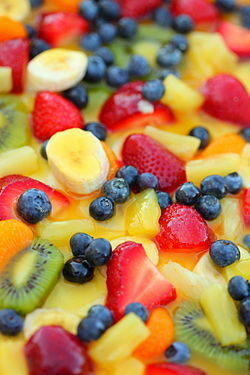 I couldn't possibly talk about low calorie desserts without including fruit salad. Keep fruit salad fresh and fun by ensuring you pick from the fruits in season now. You can create a fantastic dessert simply by pairing one type of fruit together such as berries or a delight of colourful melons or design your own rainbow with fruits of your choice. You can also use your cutting style to add interest like cutting your fruit into cubes, strips or using a melon baller. Why not also include fruits you haven't tried before or more unusual fruits including starfruit, dragon fruit and custard apples. The seeds of pomegranates and passion fruit seeds are fantastic when their contents are scooped out (or in the case of pomegranates tapped out) and gently mixed through your finished fruit salad. You can also try drizzling rose water over your fruit salad for an added flair. 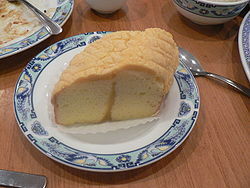 The airy, sweet and light sponge cake is a great finish to any meal or again just perfect for afternoon tea. Give the cake a bit of panache by adding a layer of jam in the centre or simply serve with fresh berries. At just over 100 calories a serve this cake certainly wont break the calorie bank. 1. After separating your egg whites from the yellow, beat the egg whites and salt until it forms stiff peaks. Then gradually add the sugar and beat sugar until it has dissolved. 2. Now add the egg yolks and again beat until well blended. Sift together cornstarch, flour and baking powder and fold into the mixture. 3. You can then pour the mixture into two 20cm (8 inch) greased and lined baking tins and bake at 190 Degrees Celsius for 15-20 min or until cake springs back when lightly touched. 4. Leave the finished cake in the tin until cooled (around 10 minutes) before turning out onto a wire rack. Dust the finished dessert with icing sugar if desired. Why? Lighten your dessert and save those calories! I tried the lemon recipe from last week. Not successful. Tasted very good, but somehow came apart. 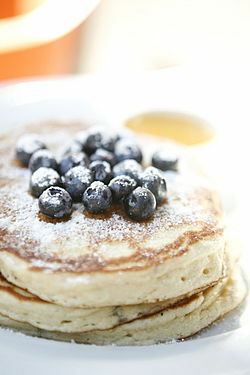 Hi cjlt, in the pancakes it's 1 ¼ cup Whole Wheat Flour or regular flour and in the spongecake it's 2 teaspoons of flour. Thanks!